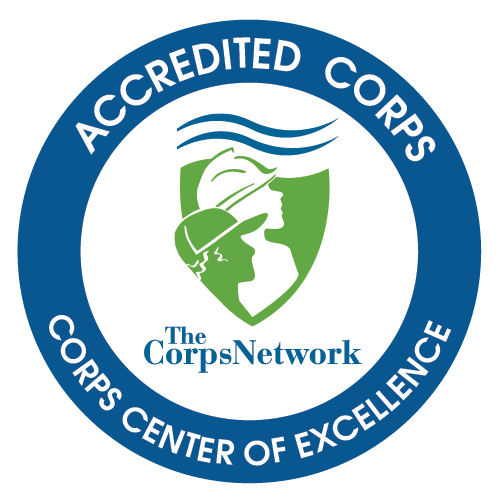 The Idaho Conservation Corps is an industry leader in developing the next generation of young people into the citizen stewards and land managers of the future. Youth crews, Young adult crews, and interns complete high priority stewardship projects throughout the Gem State in partnership with various land management agencies. Participants receive valuable job skills, high school credit or a college education award, all while earning a paycheck! Quality is important - we teach youth how to do a quality job, one in which they can take pride. Youth Crews - Nine youth and two leaders, Ages 16 - 18, Crews spend 1 to 5 weeks on a project. Trail work, invasive weed removal, piling of slash, fencing, planting, etc. Crews camp on site both in the backcountry and front country; all equipment, tools, and food are included. Youth earn a stipend and may earn high school credit. Young Adult Crews - Ages 19 to 26, seven members and one leader. Similar projects to youth crews with a more technical aspect including chainsaw work, bridge construction, or herbicide application. Minimum sponsor commitment is 2 weeks. Crew members earn a monthly living allowance and an AmeriCorps Education Award. Conservation Interns - Individual Placement of AmeriCorps members. public agencies and community organizations host an AmeriCorps Resource Steward to directly address pressing community resource needs for a three to ten month period. Cost is $5,800 to $21,130 per placement.